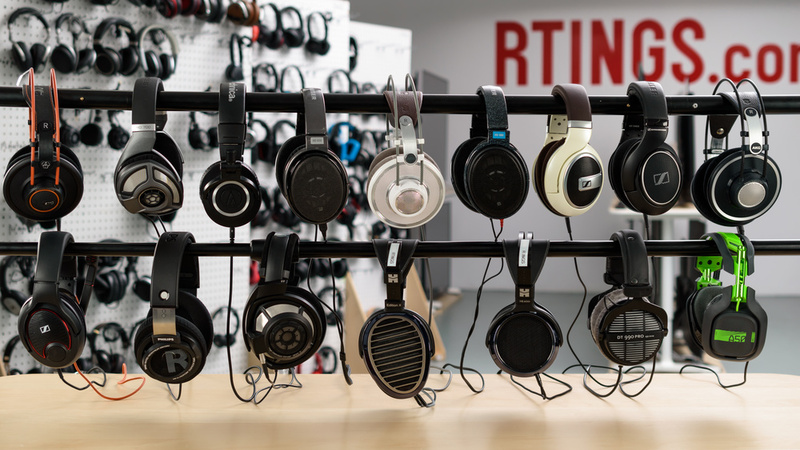 Looking for the best-sounding headphones? The best audiophile headphones provide the highest level of audio fidelity. They reproduce sound accurately and can create a spacious and open soundstage. Critical listening headphones require an excellent frequency response, great imaging, and good harmonic distortion performance. They should also be comfortable to wear for long periods of time and be well-built. We've tested 331 headphones and below are our recommendations for the best-sounding headphones you can buy in 2019. See also our recommendations for the best headphones for music, the best bass headphones, and the best studio headphones. 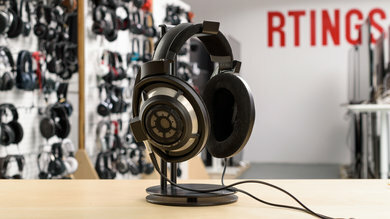 The best sounding headphones that we've measured so far are the Sennheiser HD 800 S. They have a durable, high-end feel and are comfortable enough to wear for prolonged amounts of time. If they’re within your budget and you have a powerful amp, they’re an excellent recommendation for accurate, honest listening. These headphones sound remarkably well-balanced and have excellent audio reproduction. They sound a bit brighter than other open-back headphones we’ve tested but aren’t too sharp or piercing. They have an open, spacious soundstage and deliver an outstanding listening experience. Like most open-back headphones, they are sensitive to noisy environments and leak a lot, so by design, they won't be ideal for use on-the-go. They're also a bit shy in bass compared to some planar magnetic or closed-back critical listening headphones. That said, with a proper EQ you can tweak them to your liking and add a bit more bass if desired. If you have the budget, the Sennheiser HD 800 S remain the best audiophile headphones we’ve tested so far. If you want critical listening headphones that sound as good as the Sennheiser HD 800 S but for less, then go for the HiFiMan Ananda. They don’t sound quite as spacious, but they still produce an open, natural soundstage. They also pack a bit more bass than the Sennheiser while still delivering a balanced sound. The difference in soundstage could be since the Sennheiser sound slightly brighter overall and may not be as noticeable for everyone. These headphones aren’t as well-built as the Sennheiser HD 800 S, but their build quality is better than the similarly-designed HiFiMan Edition X, making them the best HiFiMan model for critical listening that we've tested so far. As long as their build quality holds up, and they don’t develop any major defects, they provide slightly better value than the Sennheiser and are a great choice overall. If you’re looking for critical listening headphones that sound excellent but are even cheaper, then get the HiFiMan Sundara. They don’t have the quality control of a brand like Sennheiser, so they’re more prone to manufacturing defects, but they sound excellent for the price. The HiFiMan Sundara don’t come with as many accessories and aren't as well-built or as durable as the Beyerdynamic DT 1990 PRO, but they sound more balanced and provide a more spacious soundstage. They’re comfortable critical listening headphones and are a solid choice for most audiophiles. 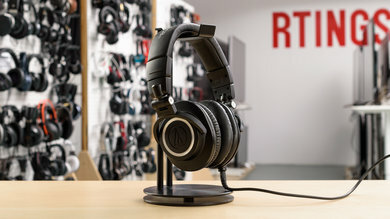 If you want good-sounding and durable critical listening headphones that are a lot more affordable than our top picks, then get the Beyerdynamic DT 990 Pro. They don’t have the soundstage or ambiance of the more premium recommendations on this list, but their sound and build quality are practically unmatched at their price. These headphones have great audio fidelity and produce instruments and vocals accurately. They tend to sound a bit sharp on brighter tracks, but they pack a fair amount of bass for open-back headphones and are well-balanced overall. They’re very well-built and feel durable enough to last a long time. These are fairly comfortable headphones, but the rigid headband can feel a bit tight. They also don’t have a removable cable or come with as many accessories as the higher-end Beyerdynamic DT 1990 PRO. However, if you're looking for good entry-level audiophile headphones, the DT 990 are a great choice. If you want more versatile critical listening headphones, then get the Audio Technica ATH-M50x. Their closed-back design doesn’t produce a very spacious soundstage, but they deliver powerful bass while still reproducing instruments and vocals clearly. They sound great and are a comfortable, durable option for everyday casual use. Though they isolate better than open-back headphones, these still let a lot of ambient noise seep into your audio. They’re not the best to use while commuting or travelling; however, they're a great choice for studio use. If you prefer wireless headphones for more casual use, consider the Audio-Technica ATH-M50xBT. They’re a Bluetooth variant with the same great sound and durable design but are considerably more expensive. If you prefer the compact design of in-ears and want more portable headphones that still sound decent, get the 1More Triple Driver In-Ear. As expected, their closed back and small in-ear design does not offer the soundstage of the open over-ear headphones on this list, but they have a well-balanced sound that delivers a good amount of bass and reproduces instruments and vocals accurately. 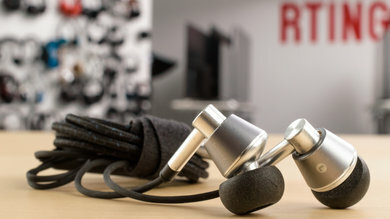 They have a sturdy and durable build with metal earbuds and a coated cable that should last you a while. The in-ear fit also won't be comfortable for everyone, but they come with 9 tip sizes to help you find the right fit. The Bose SoundTrue Ultra In-Ear sound just as good and have a more comfortable earbud-fit but they can be hard to find. If you're looking for durable in-ears for critical listening that you can easily carry around in your pocket, the 1More Triple Driver are a great choice. 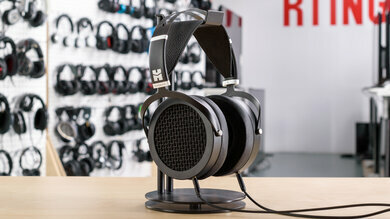 If you find the Beyerdynamic DT 990 PRO too expensive, then get the Superlux HD 681. They’re the best audiophile headphones in the budget category we’ve tested so far. They’re not as well-built as the Beyerdynamic, but they sound quite impressive for the price. 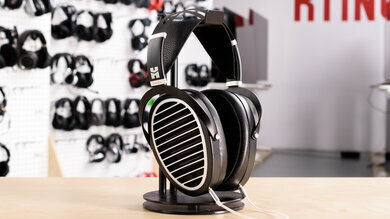 The Superlux HD 681 have very good audio reproduction for budget headphones. Their semi-open design produces a decent soundstage, especially considering how little they cost. They do sound a bit sharp, but they pack a decent amount of bass and sound fairly well-balanced overall. Unfortunately, these aren't the most comfortable critical listening headphones around and they feel cheaply made. However, they’re inexpensive headphones and are a good option overall for audiophiles on a budget. If you're looking for budget critical listening headphones and also happen to be a gamer, then consider the Corsair HS60. They have a closed-back design, so they don’t sound as immersive as some of the open-back models on this list, but they have good audio fidelity and sound well-balanced for their price. They have slightly boomy bass, but it doesn't drown out or overshadow instruments and vocals in the mid-range and treble range too much. You can also connect them to your PC via USB and EQ their sound with the Corsair Utility Engine (iCUE) application. 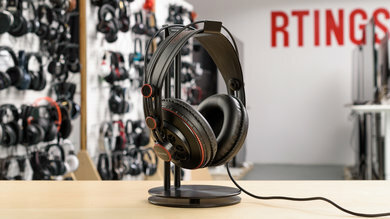 These headphones have a more gaming-oriented design that may not be for everyone, but their boom mic is removable which can help lend them a more casual look. If you want even cheaper headphones, you can check out the Corsair HS50. They’re nearly identical to the HS60, but they don’t support the iCUE app for added customizability. 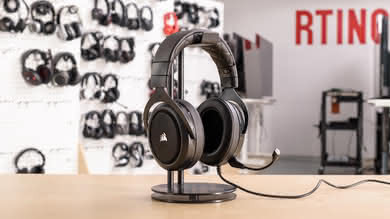 Overall, these are well-built and comfortable gaming headphones that sound good and are a solid budget choice for audiophiles who also love to game. 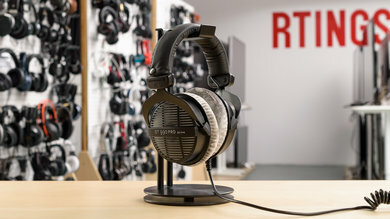 Our recommendations above are what we think are currently the best sounding headphones to buy for most people in each price range. We factor in the price (cheaper headphones wins over pricier ones if the difference isn't worth it), feedback from our visitors, and availability (no headphones that are difficult to find or almost out of stock everywhere). If you would like to choose for yourself, here is the list of all our reviews for critical listening headphones. Be careful not to get caught up in the details. There are no perfect headphones. Personal taste, preference and where you use the headphones will matter more in your selection.